"Thanks for a wonderful Pesach experience. 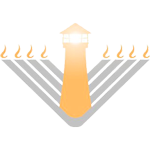 Please keep us informed of Pesach next year"
"We enjoyed the chag and appreciate Chabad's assistance with the shul and the set-up. The overall good planning on your part more than compensated for the few glitches we encountered that we will be more prepared for next year"
"Just wanted to send you a note thanking you for organizing a wonderful Pesach for my family and myself. We truly enjoyed the experience. We apologize for all the nuisance questions and emails. Now we know! Although it is too soon to be sure of plans for next year, please keep us in mind for a nice 7 room villa (ours this year was 5). "We wanted to thank you for a wonderful yom tov. Our family had a marvelous time"